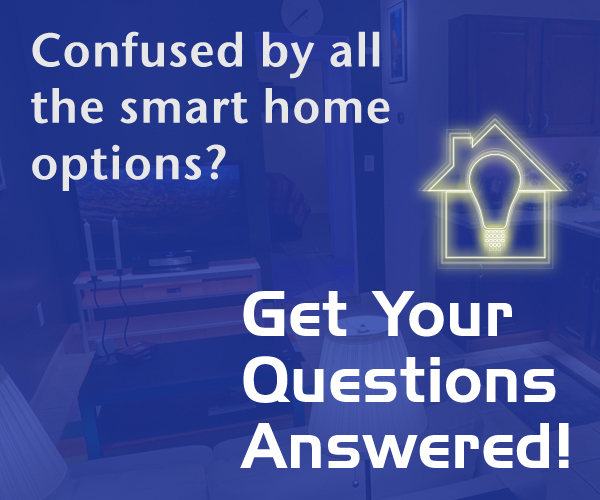 A top question I get from viewers is “why is smart lighting so expensive?” Well remember that, just like other smart home devices, the costs of the company providing free updates for the life of the product are built into the price. And, depending on how fancy or innovative the product is, the price could be a lot higher than you would expect. Welcome to the smart lighting world Sylvania, a lighting company that’s been around for decades. And, over the past several years, has built up their own line of smart lighting products. Originally branded LIGHTIFY and now called SMART+, you may see the products advertised under the OSRAM company name, too…but they’re essentially the same. To satisfy different types of customers, Sylvania has two different smart lighting lines, one dedicated for HomeKit, and one that uses Zigbee. The HomeKit variety is Bluetooth-based and doesn’t require a hub. In fact Sylvania shipped the first hub-free, 60-watt equivalent color-changing HomeKit smart bulb back in September 2017. Their Zigbee line has a larger variety of smart lighting products, like outdoor floodlights, undercabinet lights, and even wireless buttons and smart plugs. 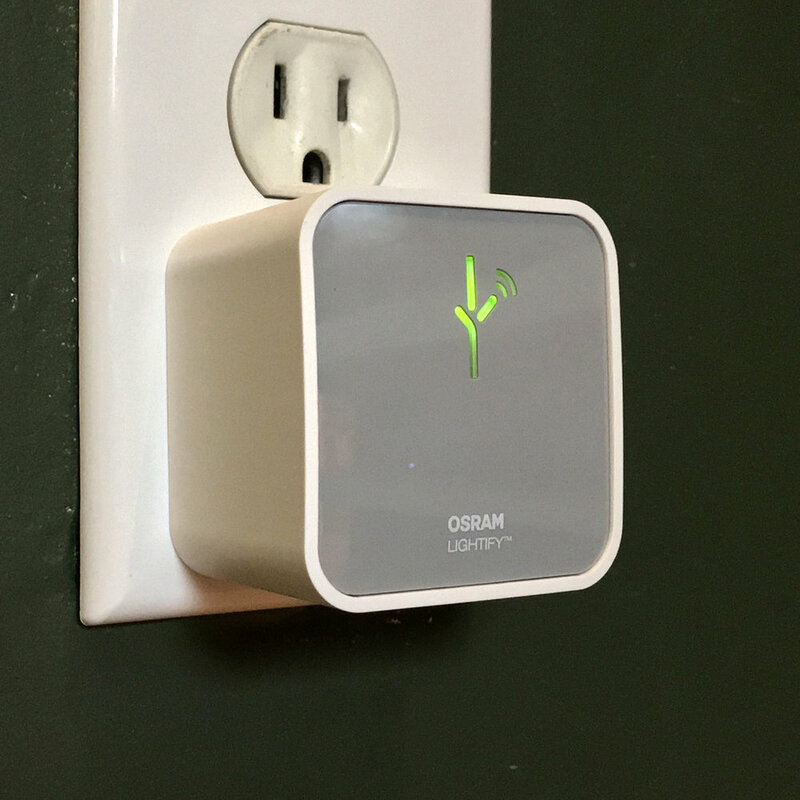 The Zigbee products do require a hub for operation, which Sylvania is happy to sell you their neat and compact model for about $30, or you can pair the lights to something like an Amazon Echo Plus, SmartThings or Wink hub, or nearly any smart home controller that supports Zigbee. Instead of creating whiz-bang lighting products with special effects and blinding brightness levels, Sylvania is just making smart lighting products that perform as well as “those other guys”, but won’t short-circuit your budget. Also, the larger selection of products, especially reasonably-priced outdoor smart lights and strips, makes up for not having dazzling specialized effects. Now, to be fair, this written review really doesn’t do the lights justice. So while I will list the specs for you along with my final opinion, you really should check out the full video, which I’m embedding below. SMART+ Gardenspots shining against block wall and foliage in the Smarter Home Life backyard - image enhanced for brightness. Note: Entire connected set of lights changes colors, brightness levels. Individual addressing of each light is not possible. To be diplomatic, the Sylvania app is just not a fantastic experience. It seems that Sylvania is totally ok with selling smart lights and having their customers control them from someone else’s system. I don’t think they want to be known for their app, it’s just not very intuitive and somewhat hard to use even for an experienced smart home guy like myself. If you’re using HomeKit, you’ll be able to use Apple’s Home app, or the HomeKit app of your choice to control the lights. Of course, it goes without saying that you’ll be able to use Siri to voice control Sylvania’s HomeKit lights, and Amazon Alexa or the Google Assistant to control their Zigbee lights when linked up to your favorite smart speaker. With its lower price point, good light quality and a wider, more unique selection of smart lighting products, I think Sylvania is definitely worth a look if you’re on a budget. You’ll be able to light up more of your smart home with intelligent lighting for less. One last thing… While the products I reviewed were specifically designed for 120V systems and North America, there are additional international versions of these products available. Just check with your local version of Amazon or physical stores. Disclosure: Sylvania supplied the smart lighting products for this review to Smarter Home Life.